Then does a good man become the tabernacle of God, wherein the divine Shechinah does rest, and which the divine glory fills, when the frame of his mind and life is wholly according to that idea and pattern which he receives from the mount. We best glorify Him when we grow most like to Him: and we then act most for His glory, when a true spirit of sanctity, justice, and meekness, runs through all our actions; when we so live in the world as becomes those that converse with the great Mind and Wisdom of the whole world, with that Almighty Spirit that made, supports, and governs all things, with that Being from whence all good flows, and in which there is no spot, stain, or shadow of evil; and so being captivated and overcome by the sense of the Divine loveliness and goodness, endeavor to be like Him, and conform ourselves, as much as may be, to Him. – DR. JOHN SMITH. God’s glory filled the temple after Solomon prayed. A temple is simply a place where God dwells or lives. We, as Christian’s, are God’s temple today. Here are a few things about building a temple. Building a Temple Takes Preparation – It took a long time to build the temple in the Old Testament. David was planning it and saving materials for years before he died. The temple was really “shovel ready” when David died. We need to prepare ourselves to worship with God. We need to get the materials of clean living and a Holy life together before we can worship God in spirit and truth. 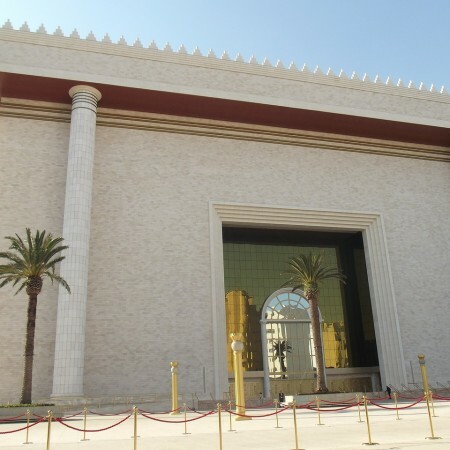 Building a Temple Takes Time – It took Solomon nearly seven years to complete. It was a massive, multinational undertaking. It takes time to build a good Christian life. People grow little by little and so do Christians. It takes some of us a lot longer to get things. The important thing is that you grow over time. Building a Temple Takes Resources – It took a lot of stone, gold, wood and other materials to build the temple. It takes the word of God, a church, fellow Christians, pastors, evanglists, teachers, buildings and money to build a good Christian. Good temples are not cheap and good Christians are not cheap either. They both take a lot of resources. Building a Temple Takes Wisdom – It took the wise architect and engineer of the universe, God, to build the temple. It takes wisdom and knowledge to make a Christian. The whole book of Proverbs which is about wisdom, understanding and knowledge was written by Solomon who built the earthly temple. If we are going to build a godly Christian life we have to have wisdom, knowledge and understanding. This post has been seen 1362 times.